There are a lot of obscure indies lurking in the recesses of Netflix Instant, many of which, sadly, are forgettable exercises in predictability (how many tragic tales of junkie strippers do we really need?). So it's a real treat to find one as accomplished and entertaining as 2011's Stuck Between Stations. 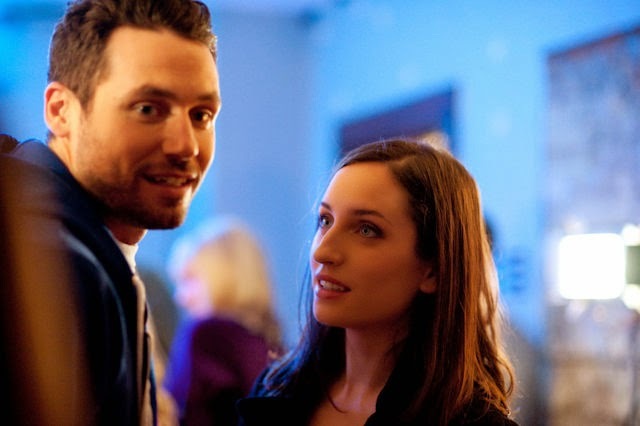 Taking place over a single night in downtown Minneapolis, the film follows two former high-school acquaintances (Sam Rosen and Zoe Lister-Jones) getting to know each other as each confronts a personal crisis. Casper, a U.S. soldier on leave from Afghanistan, is home for a few days to deal with his father's death. 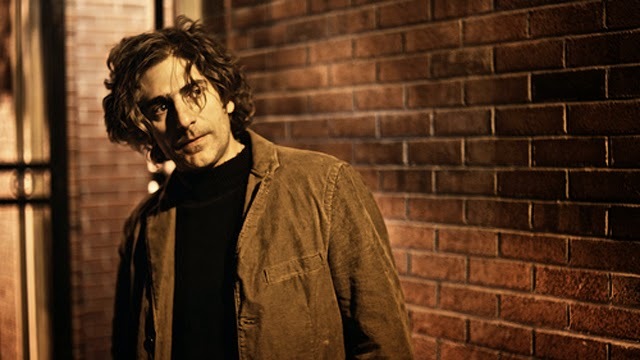 Meanwhile, graduate student Rebecca faces the messy blowback of an affair with her comparative-lit professor (played by Michael Imperioli). It's been ten years since these two last saw each other, and a mix of curiosity and attraction finds them wandering from one nocturnal gathering place to the next—a bar, a party, an indoor circus, a convenience store, an empty playground. Between encounters with a handful of other characters, they catch each other up on where their lives have taken them and what kind of adults they've become. In some ways it's all very Before Sunrise: a boy, a girl, a long conversation taking place over the course of a single night. But because these characters are grown-ups with a shared history, the drama derives more from nostalgia and revelation than burgeoning romance. As the film points out, who we were in high school—and how we saw each other—often has little to do with where we end up. Rebecca was one of the pretty, popular girls, while Casper was a shy, sensitive geek worshiping her from afar; and while their current incarnations as (compromised) academic and (unlikely) soldier leave them seemingly just as mismatched, they come to recognize a shared sensibility and similar defense mechanisms for coping with life's traumas. The two leads play off each other well as the wary former schoolmates, achieving a low-simmering chemistry that could easily boil over given the right time and place. Rosen, who co-wrote the screenplay with fellow Minnesotan Nat Bennett, is extremely likable as the soulful, unassuming Casper whose outward affability masks a toughness informed by pain and loss. He's an actor we need to see more of. Lister-Jones, a screenwriter herself and often cast as comic support in sitcoms like Whitney, really stands out in her lead role, projecting an intelligence and confidence that allows her character to toe the line between sensitivity and strength. Rebecca can be a tough cookie, but her self-awareness and vulnerability have kept her from turning brittle—so far. First-time director Brady Kiernan lets his actors fully explore each thought and emotional progression, allowing for performances of engaging naturalness. 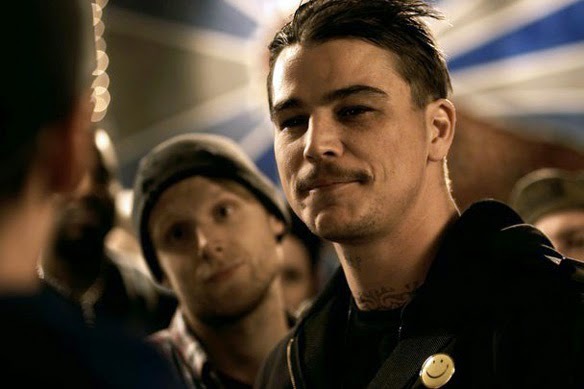 Even Josh Hartnett, who has a small role as one of Casper's old friends, admirably sheds his star aura to blend in with the otherwise low-profile production (as does Imperioli, late of The Sopranos). Kiernan does an excellent job bringing a seamlessness to the many conversations and location changes. It's tricky to sustain interest in what's essentially a feature-length dialogue between two characters. But the usual slack moments or awkward transitions that creep into such attempts remain refreshingly absent here. The writers and director (and no doubt the actors) have taken extra care to avoid such pitfalls, keeping the pace taut while bringing an unforced inevitability to each conversational turn. Based on its recommendations of "like" films, Netflix seems to believe Stuck Between Stations is some kind of gay-themed chick flick. It's neither. It's a quiet film, driven more by character than plot, more by real life than rom-com cutesiness (not to say it doesn't have its share of humor). In other words, it's the type of movie that might easily slip beneath the radar to be mistaken for so many low-budget films that give indies a bad name. But don't let the lack of big stars or the unappealing promotional artwork discourage you (could that DVD packaging be any more generic?). If you enjoy the vanishing art of conversation in movies and take pleasure in watching two people construct a genuinely felt relationship right before your eyes, then put this one on your list. It should singlehandedly banish the bad taste left by too many junkie strippers with hearts of gold. Thought it was a gay movie with only 2 stars and then it ended up being a really good 4 star non-gay movie. 4 stars because there was no gayness involved. If there was Gayness it would be 5. Hah--I know! What's up with that? Netflix algorithm FAIL.